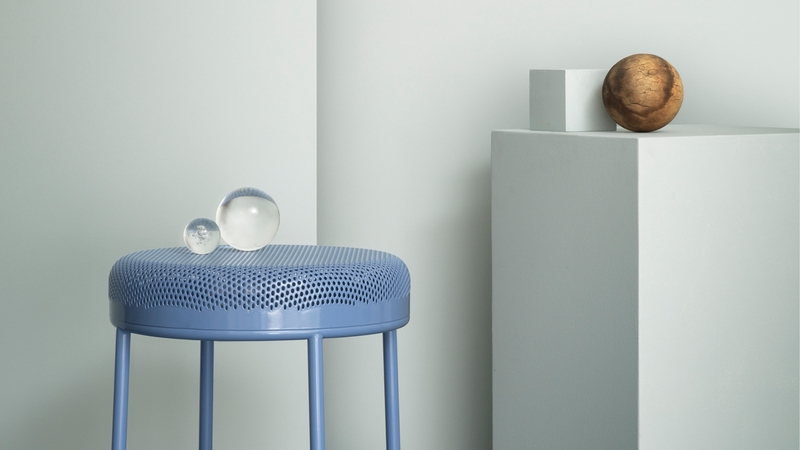 “A stool inspired by bar stools in British pubs. 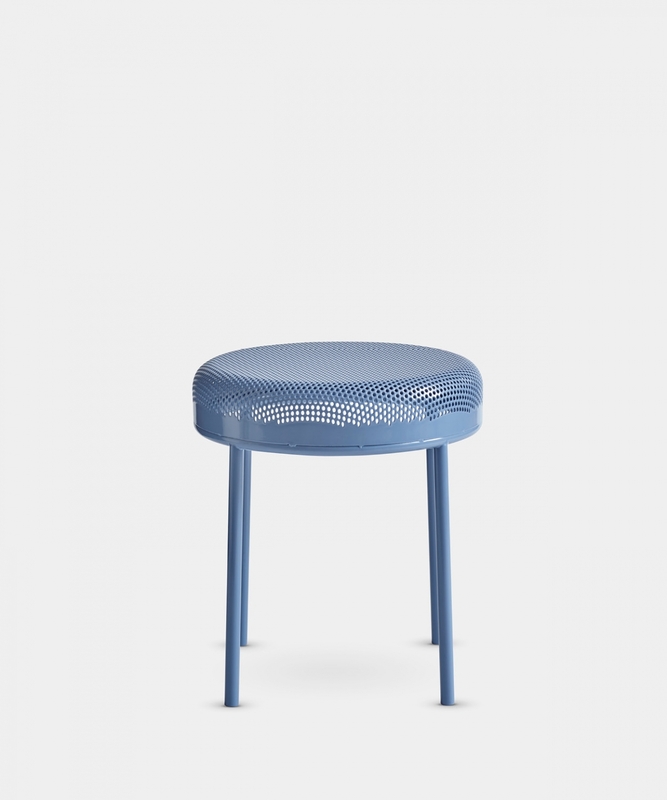 The chunky seat is typically upholstered, but for my design I lightened it up, and used the raster to create a transparent feel for the entire stool. 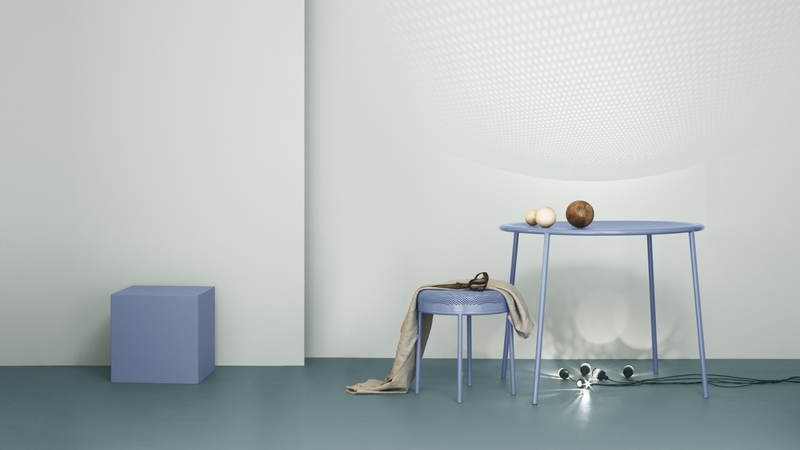 The stool is made from powder-coated steel”.